Think you’ve got what it takes to take home the best in show trophy? 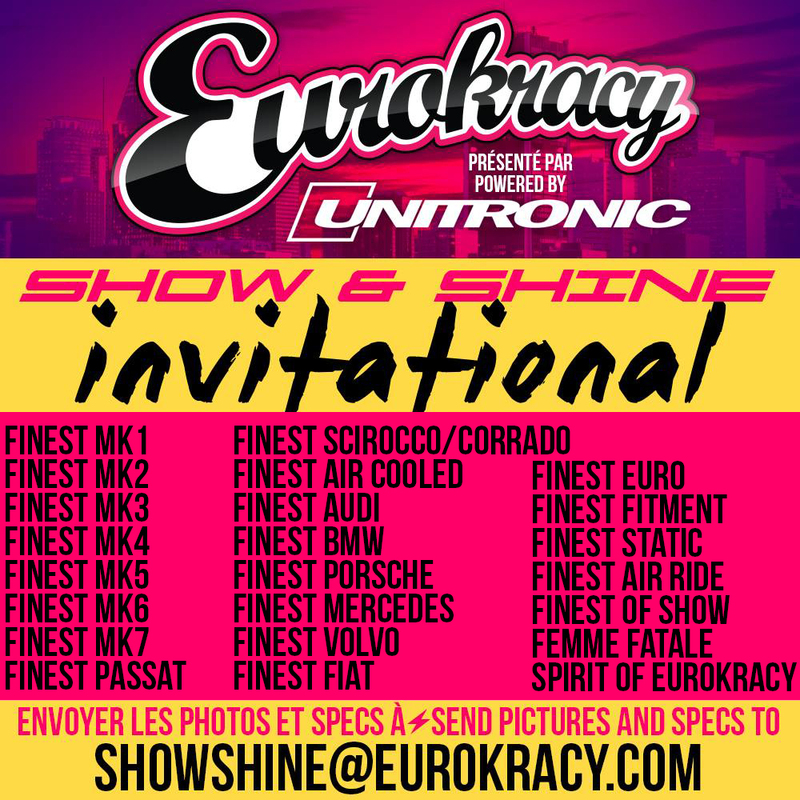 Enter your ride into the Show & Shine competition for your chance to win the top prize at Eurokracy. Email pictures & specs of your car to ShowShine@Eurokracy.com. Vous croyez avoir ce qu’il faut pour ramener le trophée du best in show à la maison? 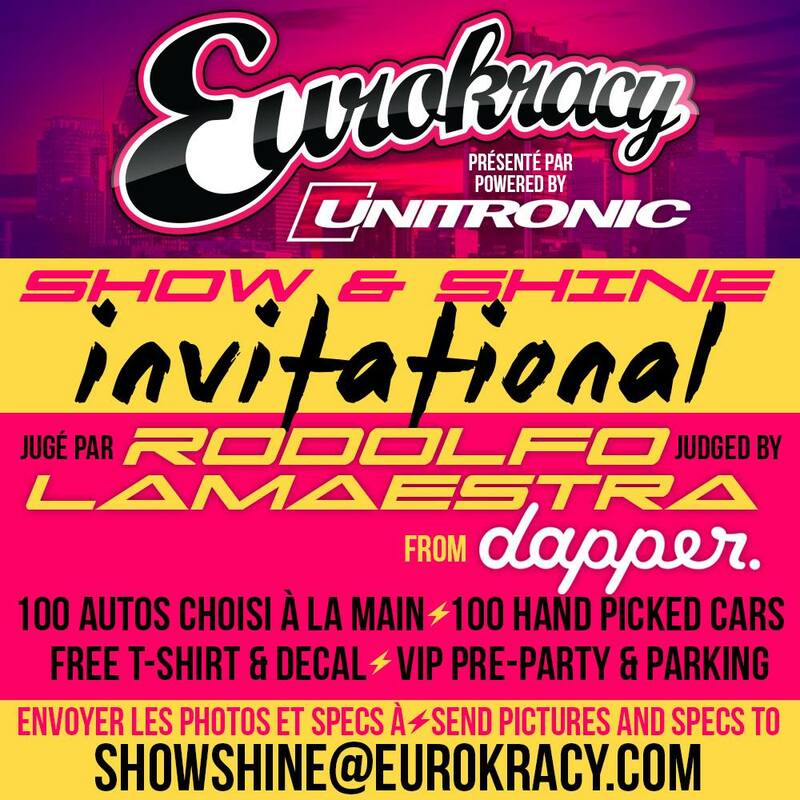 Inscrivez votre véhicule à la compétition Show & Shine pour courir la chance de gagner ce merveilleux prix à Eurokracy.